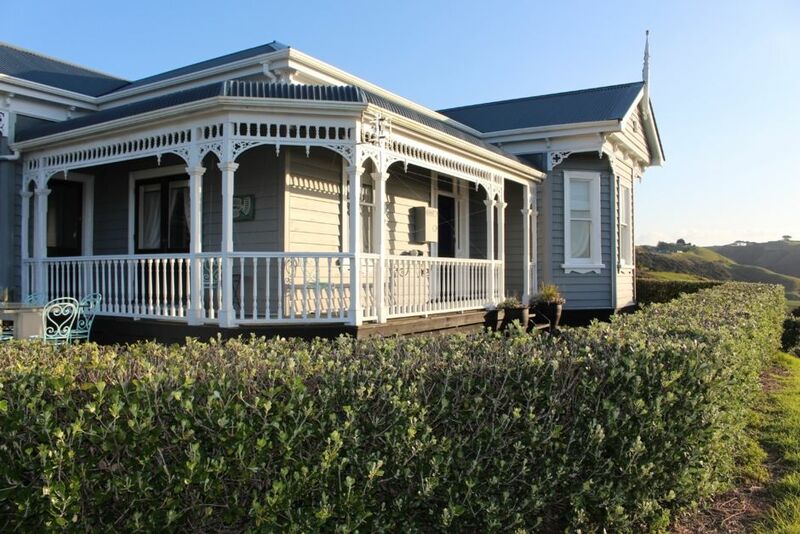 Only 15 minutes from Waiuku township, this boutique villa offers everything for a relaxing break away. Situated up high looking down on expansive rolling hills, amazing sea views out to the Manukau Heads and only 15 minutes to Awhitu Regional Park and all the West and East coast beaches have to offer. Enjoy the views from the wrap around deck , or sit back and marvel at the amazing views from the comfort of the villas lounge through the open French doors. This home is a real little gem, furnished by an amazing artist, the home has a lot of character. This has always been our visitor accomodation and as they came to us for lunch and dinner it is only set up for breakfast cooking. Our hosts were lovely and we enjoyed our stay. The property is beautiful and spacious. Will definitely come again and recommend highly. We love it when guests enjoy themselves! Delightful house with 3 lovely bedrooms, all with very nice decor. We were looking for complete peace and quiet, and the house was perfect. It was a pleasure to have you staying. Bliss. Bush. Rolling farmland. Sea views. Distant twinkling lights at night. Stunning. Luxurious comfort inside and grandeur outside. What a treat. Perfectly positioned on the peninsula to explore, relax and enjoy. Marvelous villa in beautiful surroundings, the quality of the interior and attention to detail in the rooms made our stay truly enjoyable. It was scorching hot few days and inside was cool and comfortable, the kitchen was well equipped with new cookware and crockery, plus a great glass collection. We found the place really easily and was a great base to explore the peninsular. Not from Waiuku (15mins drive) and close to the Regional Park. The Villa is just lovely, well decorated and comfortable. The Villa is just lovely, well decorated and comfortable. Beautiful views in a fabulous part of New Zealand that is worth discovering. We all had a lovely restful time. We enjoyed ourselves. The property is beautiful with gorgeous views. The property is beautiful with gorgeous views. Beautifully decorated the house was more than comfortable and I would happily recommend as a holiday location.